Mazda Team Joest recently completed a very successful two-day test session at the Daytona International Speedway. The test was primarily a shakedown for the team to learn how best to work on the Mazda RT24-P car, but it was conducted as if a race victory was on the line. Mazda Team Joest has begun testing to prepare for the season which kicks off with the Rolex 24 at Daytona in late January. To be successful you need a lot of skill, a little bit of luck and nearly superhuman determination. Cresci has all three, and he’s ready to take on the challenge. He’s gone through a 1988 Turbo RX-7, a 2009 RX-8 and now the 2016 MX-5 Miata. He’s certainly a die-hard Mazda guy, for many reasons. 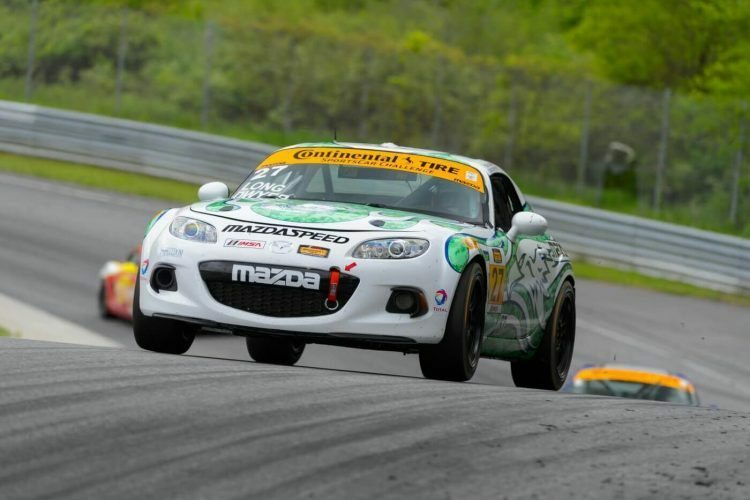 Since the Battery Tender Global MX-5 Cup presented by BFGoodrich Tires, will be racing on Father's Day, at Road America, we asked a few of the racers to describe their dad in one word. The Mazda Road to Indy is the most comprehensive and successful open-wheel racing driver development program in the world. In the 100th-running of the Indianapolis 500, 24 (of the 33) drivers have graduated from the Mazda Road to Indy. Racing really does improve the breed, and Mazda uses motorsports competition as a laboratory to ensure all of its cars embody the soul of a sports car.